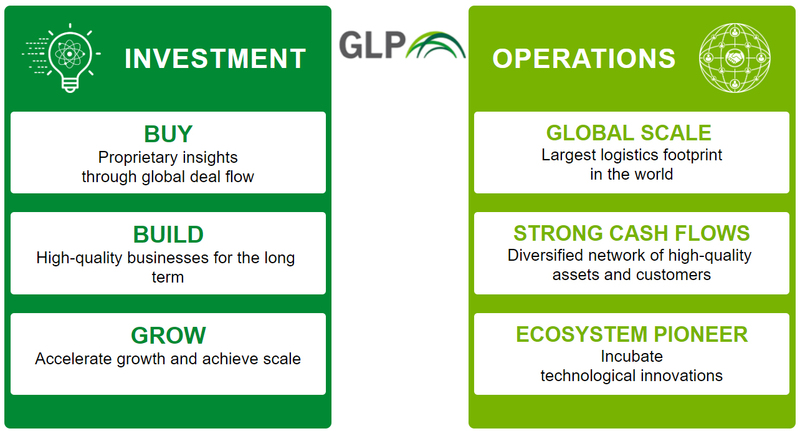 GLP is a leading global investment manager specializing in logistics and related technology investments, with US$64 billion of assets under management in real estate and private equity funds around the world. The Company’s real estate fund platform is one of the largest in the world, spanning 73 million square meters (785 million square feet). In 2019, GLP was recognised by Private Equity Real Estate (PERE) as Global Firm of the Year and Logistics Investor of the Year. Sign up to receive e-mail alerts whenever GLP posts new press releases to the site.GLPJust enter your e-mail address and click Submit. © Copyright GLP inc, all rights reserved.